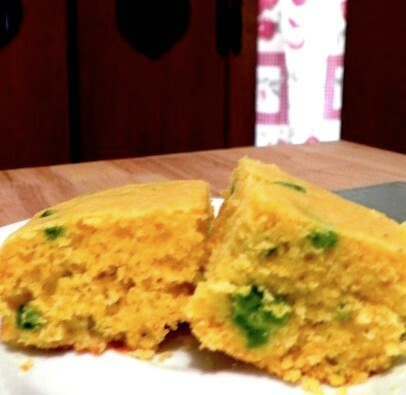 Sharing this quick and easy cornbread. Great as a side for those Tex-Mex bowls of chili. In a separate bowl mix eggs, buttermilk, olive oil and chopped jalapenos. Stir until blended and then add to the dry mixture. Beat until well blended. Pour into 8X8 greased baking pan. Bake in a 350 degree preheated oven for about 20 minutes.